The intern gains experience in the field they are working in as the manager of the shoes store. While being students they get general and wide-ranging knowledge in different subjects, such as: management, marketing, finance, audit etc. In time this knowledge helps during getting an experience in work. Being the manager of the shoes store means to get the experience how to control and organize work of the personnel of the store; supply the store with the shoes which are required in this season, of definite trade mark and with definite quality; manage the information: what is the demand and what is the proposition of the shoes in the market; organize the structure of the company which enable to increase its sales and profit, outcome; manage finances of the shoes store; control marketing presentation of the store, its publicity and etc. Such a wide range of tasks has the manager of higher level. As far as students get their first experience while working during internship they get the position of manager of the department of the store. Thus, they get the opportunity to get experience from small commitments to higher with promotion in case of their good results in this position. Interns develop their skills on the position of manager of the shoes store. There is no secret that only the student with good skills in the area can be hired on such a position. Skills gained during studying can be continuously developed on this position. All people develop their skills while working and getting experience. Interns are not exclusion. Their energy helps them to obtain and gain new skills which help them work and be promoted. All experience develops people’s skills. Position of the manager of the shoes store enables to develop management and administrative skills how to control work of the store in order to increase to profit. Manager of the shoes store experience a lot of communication. Controlling and organizng work of the personnel of the store the manager has to meet employees and communicate in order to choose good staff and to explain their duties. Supplying the store with the shoes the manager communicates with other representatives of the shoes company and its suppliers. Marketing and public relations require lots of communication as in this case the manager is able to regulate the sales of the store and its profit. Good publicity brings benefit both for manager and for the shoes store. Meeting new people manager of the store is able to develop communicational skills, feel free while having conversation with the people of different level and be satisfied with communication generally. Earn living is one more beneficial sides of being the manager of the shoes store. Students or interns are able to earn more which helps them to be independent from their parents who help them with money while studying. Earning money themselves enable to start independent adult life with the help of the position of manager of the shoes store. Financial benefit of work always attracts employees. Interns consider high payment as a good luck as they get not just the benefit discussed before but have money evaluation for their work. Position of the manager is considered to be well-paid, which means the working on this position have only positive sides. Energy, enthusiasm, reliance and diligence help to be promoted from the position of the manager of the shoes store. Interns are able to climb the career ladder from the position of the manager of the store. Good career attracts any employee and for interns this position is a great opportunity to develop themselves in the way they choose. Climbing the career ladder with the help of promotion is the way how managers can be satisfied with the chosen way of their lives. Position of the manager of the shoes store helps to develop the individuality of every intern. Communication, duties, experience gained on this positions form not just a strong and highly-professional manager but the individual who is able to start and organize the communication well, who is motivated, respected and confident. This forms an interesting and strong person. Working as a manager of the shoes store especially during internship is positive from any point of view. 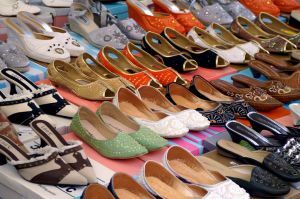 “Fresh” understanding by interns of the sales in shoes store will help to increase its profit, which plus for a store. There are a lot of pluses for interns. Such workers gain their first experience of work which organize them. They learn how to communicate correctly in order to present themselves and the company from the best side. They develop their professional skills from theoretical to practical. They develop as an individuality meeting new people, climbing the career ladder and having interest in their business. And at last they earn money for their work. Thus, working as the manager of the shoes store satisfies academic and career aspirations. Now you know why going on internship is so important for a student. Learn all about how to write excellent essays!